1-1/8 Porter Knob, 1 per package From Liberty Hardware, the Lansford Knob is a simple design, with well designed proportions and details. Great for today's modern casually styled cabinets and furniture. Crafted from die-cast zinc for long lasting quality and durability. Installation hardware is included for your convenience. 1-1/8 Porter Knob, 1 per package is rated 4.9 out of 5 by 7. Rated 4 out of 5 by rbar from These knobs look good and feel really sturdy. It’s... These knobs look good and feel really sturdy. It’s a plus that they come with two different length screws. One small issue is that some of the threads in the knobs are not cut cleanly. To get the screw started just push the screw in with a little force and tighten it until the threads catch. Rated 5 out of 5 by Sewclever from Great knobs. Easy to grab.... Great knobs. Easy to grab. Rated 5 out of 5 by VickeryWrites from We ordered a number of these (over 30) and we... We ordered a number of these (over 30) and we only had an issue with one where the threading was off between the screw and the knob. Other than that, we were very happy with these. They feel great in the hand and were fairly easy to install. I would buy these again in a heartbeat! Rated 5 out of 5 by Jennifer from I love these satin nickel cabinet knobs! I purchased 10+ of these to replace gold sphere knobs in... 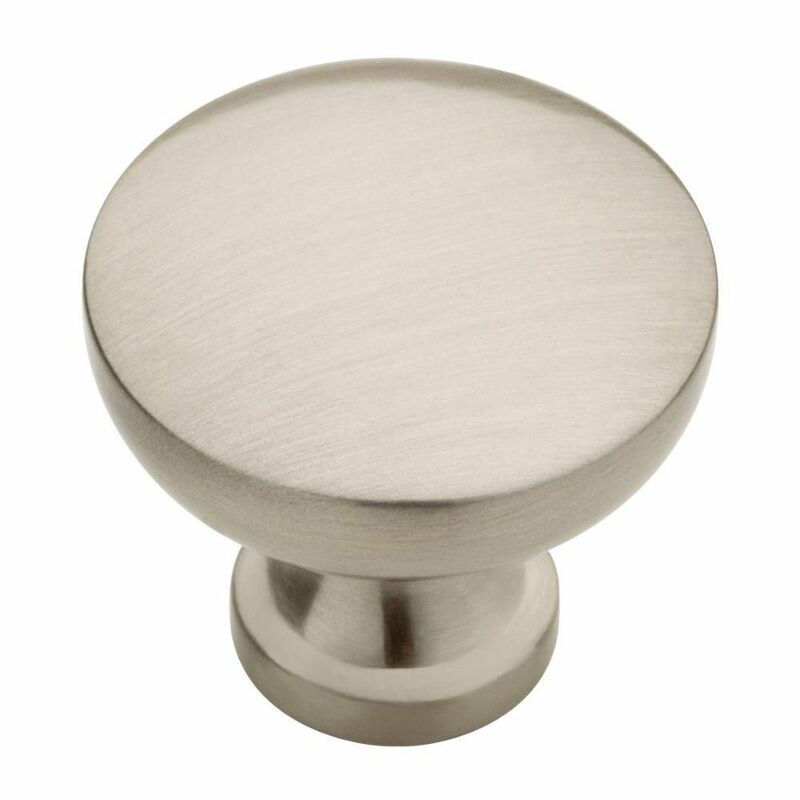 I love these satin nickel cabinet knobs! I purchased 10+ of these to replace gold sphere knobs in my kitchen, and now it looks more modern and toned down (in a good way). They come with two different length screws, and installation was easy. It has a really nice grip to it as well. The only con is that it doesn't come in a multi-pack. Rated 5 out of 5 by Douglas from Excellent product.... Excellent product. Rated 5 out of 5 by Wuzfuz from Chinese products are improving The knobs were of high quality. All threads were good and the count sent to me was correct. I liked the fact that they included a long as well as a short screw in the pack in order to fit any application.